A third man has been charged in connection with the March 23 shooting that killed off-duty Chicago cop John Rivera and injured another man in River North. Police today said 22-year-old Jaquan Washington of the New City neighborhood has been charged with one felony count of first-degree murder and three felony counts of attempted first-degree murder. He was taken into custody on Tuesday. Washington was identified as one of the persons who fired into Rivera’s car in the 700 block of North Clark around 3:25 a.m., wrongly believing that the occupants had been involved in an earlier altercation at a nearby fast food restaurant. Rivera was killed, and his friend was critically wounded in the shooting. Another off-duty officer and Rivera’s girlfriend, who were also in the vehicle, escaped injury. CPD records show that Washington was charged last June with being a felon in possession of a firearm. The outcome of that case was not immediately available. He is due in bond court this afternoon. 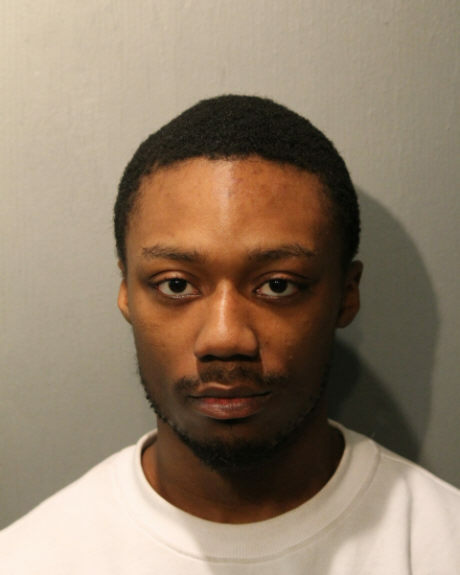 Previously charged in the case were 24-year-old Menelik Jackson and 32-year-old Jovan Battle. A judge released Jackson from electronic monitoring and a 7 p.m to 7 a.m. curfew just two weeks before the shooting. Jackson had been on those restrictions for six months as part of a plea agreement he reached with prosecutors in an armed home invasion case.